This important case was litigated by Civil Rights Attorney Carol Sobel, with co-counsel by Legal Aid Foundation of Los Angeles, and homeless individuals who were impacted by Section 85.02 enforcement by LAPD. Several community-based organizations fighting against criminalization and forced displacement in Venice and across the City supported this case as well. This fight is crucial to upholding the human rights of everyone, of ensuring homeless and poor people have full and equal access to public spaces, and – for those that do have vehicles but have no current access to housing – ensures at least some shelter and safety protections over sleeping on the streets. 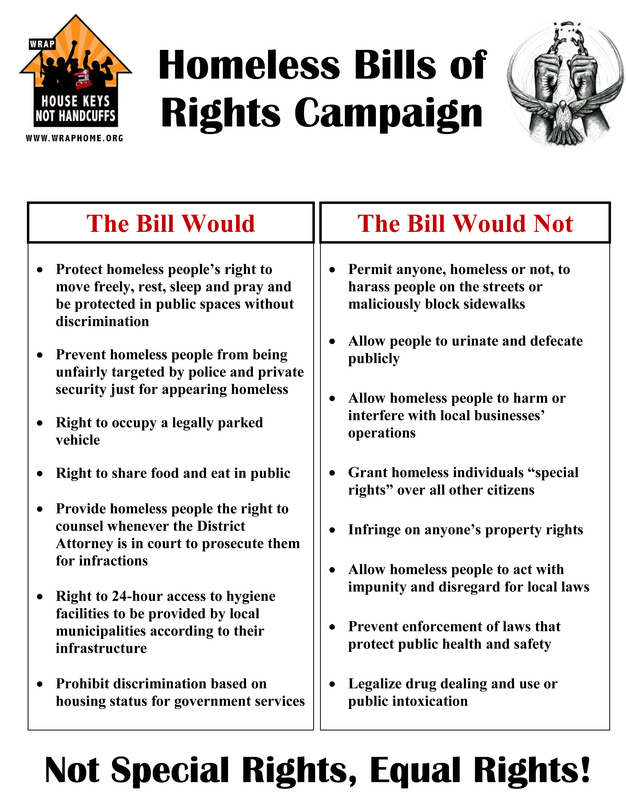 California and Los Angeles should enact Homeless Bills of Rights to protect the civil rights of homeless residents, seriously invest in housing solutions, and stop expensive and inhumane criminalization efforts. Segregation and criminalization of public space cannot continue and this victory is one step toward that. 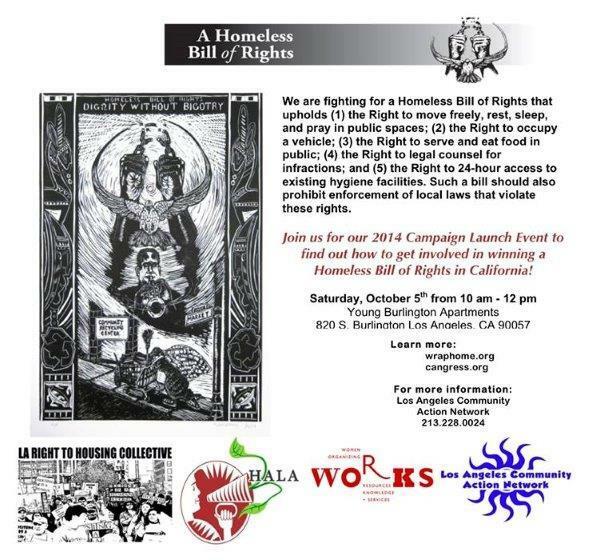 To get involved in local and statewide campaigns, contact Eric or Dogon at LA CAN, and/or attend the next LA-region Homeless Bill of Rights meeting on Thursday, June 26th at 6:00 PM at LA CAN (838 E. 6th Street, LA 90021). LA CAN joins organizations across Los Angeles to pursue a Homeless Bill of Human Rights to stop abuses in Los Angeles as well as up and down the entire western region. Mad respect goes out to Hunger Action Los Angeles, Occupy Venice, Occupy LA, Venice Food Not Bombs, A.W.A.R.E., Revolutionary Autonomous Communities, Monday Night Mission, Intercommunal Solidarity Community, Martin Luther King Coalition of Greater Los Angeles, NESRI, and WRAP. The food and medical services provided for poor people on Sycamore and Romaine Streets has been going on for nearly a quarter. Recently there has been a campaign by Los Angeles Councilmember LaBonge and “neighbors” to shut the services down. Connected to the shutdown is a larger attempt to create policy that would effectively stop charitable services from being provided on public property. We who believe in freedom cannot rest until freedom comes and will not sit by idly while special interests dictate how we take care of one another.